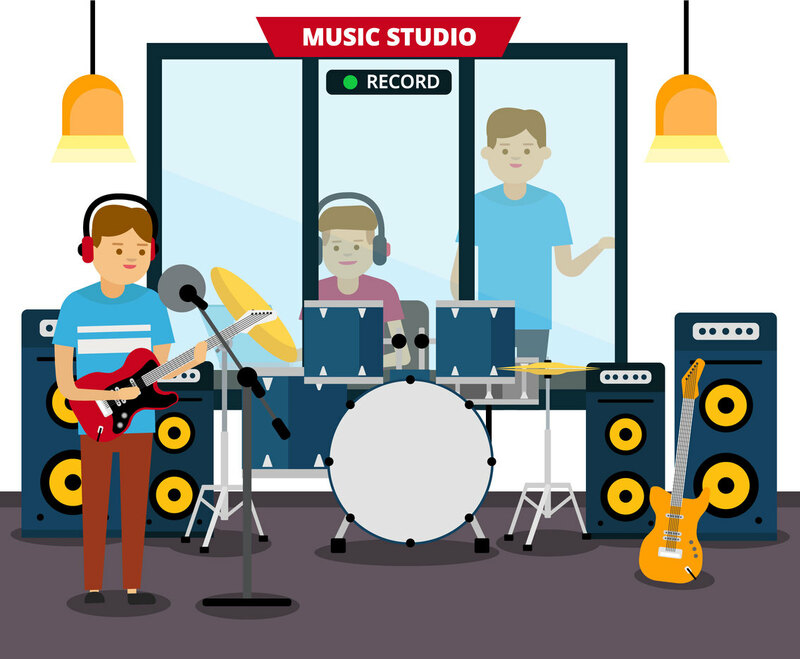 Illustration of recording music activity in vector format. There is a guitarist who also sing, the mixer operators work behind the room at the recording studio in the illustration. This can be good as design element for music website or kids book illustration about musician and studio music.